These cards, i think, are great cards to make in a set and give as little gifts sets:) The card will fit into a normal size envelope so it would be easy to send. 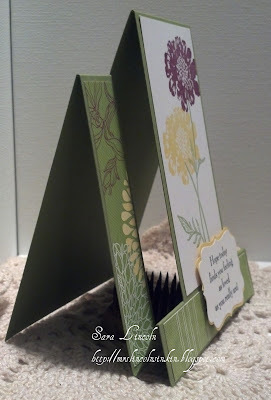 Another thing i just LOVE about this kind of card is that it is displayed so nicely with the card being made to stand up. LOVE IT!!! The card base is 4 1/2" x 11". I cut my 2 side panels and bottom panel out of Floral District DSP at 7/8" x 4 1/4" and my Whisper White for the front of my card at 2 1/4" x 4 3/8". 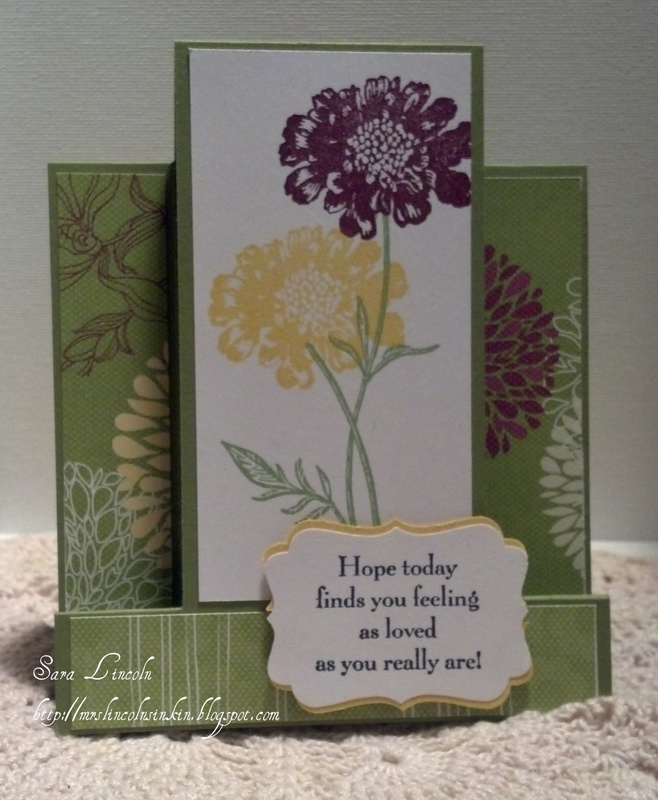 I used my Field Flowers stamp set for my main image and then my greeting came from You Are Loved! !